The 5th Annual Demographia International Housing Affordability Survey covers 265 metropolitan markets in six nations (US, UK, Canada, Australia, Ireland and New Zealand), up from 88 in 4 nations in the first edition (see note below). This year’s edition includes a preface by Dr. Shlomo Angel of Princeton University and New York University, one of the world’s leading urban planning experts. Needless to say, there have been significant developments in housing affordability and house prices over the past year. In some parts of the United States, the landscape has been radically changed by rapidly dropping house prices. Our measure of housing affordability is the “Median Multiple,” which is the annual pre-tax median house price divided by the median household income. Over the decades since World War II, this measure has typically been 3.0 or below in all of the surveyed nations and virtually all of their metropolitan areas, until at least the mid-1990s. There were bubbles before that time in some markets, but during the “troughs” most markets returned to the 3.0 or below norm. Unfortunately, the most recent bubble was and continues to be the most severe since records have been kept. The Demographia International Housing Affordability Survey rates housing affordability using five categories, indicated in the table below. At the height of the current bubble, some markets saw remarkable declines in housing affordability. In some Median Multiples exceeded three times the historic norm. Among major markets (metropolitan markets with more than 1,000,000 population), Los Angeles, San Francisco, San Jose and San Diego all reached or exceeded a Median Multiple of 10. Many other markets saw their Median Multiples rise to double the historic norm and beyond, such as New York, Miami, Boston, Seattle, Sacramento and Riverside-San Bernardino. Other major US markets – such as Portland, Orlando, Las Vegas, Providence and Washington, DC – rose to above 5, a figure rarely seen in any market before the currently deflating bubble. America has hardly been an exception. Outside the United States, virtually all major markets in Australia were well over 6.0, as well as London and Auckland in New Zealand. Vancouver was the most unaffordable major market, with a Median Multiple of 8.4. Of particular note is barely growing Adelaide, which nonetheless has seen its Median Multiple rise to 7.1. But, at least in the US, the unaffordability wave has crested. Generally, the house prices peaked in the United States in mid-2007. Since then the markets with the biggest bubbles took the lead in bursting. By the third quarter of 2008 (the Survey reports on the third quarter each year), the Median Multiple in San Francisco had dropped to 8.0, San Jose to 7.4, Los Angeles to 7.2 and San Diego to 5.9. Of course, even at these levels, housing affordability in these metropolitan areas remained worse than ever before. History would suggest that housing prices in these markets have a long way to go before they hit bottom. Other markets have improved affordability more substantially. Inland California markets like Sacramento and Riverside-San Bernardino have gone from the “seriously” to only the “moderately unaffordable” category, with rates now in the mid-3.0s. Data for the fourth quarter is likely to indicate that Sacramento will be the first major housing market in California to return to a Median Multiple of 3.0, a rather large fall from its peak of 6.6 in 2005. Outside California, other markets have experienced significant price declines. But some, like Miami still at 5.6, have a long way to go before they reach the historic norm of 3.0. Las Vegas and Phoenix (which nearly reached 5) may be closer, falling to the “moderately unaffordable ” category with Median Multiples of between 3.1 and 4.0. Seattle and Portland have fallen 10 percent or more as of the third quarter but remain severely overpriced, suggesting they, like Miami, have more price declines in the offing. Much of the blame for the bubble has been placed at the feet of a mortgage finance industry that passed out money as if it was not its own. Not surprisingly, the ready availability of money had its effect on the market. Demand rose sharply and included many who couldn’t afford to pay. But profligate lending practices represent only a relatively minor cause of the bubble. This was missed by all but a few economists, notably Dr. Angel’s Princeton colleague and Nobel Laureate Paul Krugmann. He could see that there was not one “national bubble” but a series of localized ones. The real villain, he noted, lay in land use regulations. In reality the bubble missed much of the country – from Atlanta to El Paso to Omaha and Albany. There were house price increases, of course, but they were generally within the Median Multiple ceiling norm of 3.0. There were a few exceptions, but even they did not exceed 3.0 by much. Rising demand was not the big problem. Housing affordability remained at virtually the same Median Multiple level in Atlanta, Dallas-Fort Worth and Houston, the three fastest growing metropolitan areas of more than 5,000,000 population in the developed world. Many other major markets across the South and Midwest experienced little price increase and maintained their affordability. Indianapolis, which has a Median Multiple of 2.2, continued to gain domestic migration from other areas and has a near Sun Belt growth rate. Kansas City, Louisville and Columbus remain affordable and are attracting people from elsewhere. Although there are signs of a correction in parts of California, Nevada and Arizona, some bubbles in high-regulation markets are still in the early stage of deflating. New York, Boston, Portland and Seattle particularly may be in danger; the worst consequences of their bubbles lie ahead. The longer-term question remains whether these and other still highly over-valued markets in California, the Pacific Northwest, Florida and the Northeast will return to affordability, at or near a Median Multiple of 3.0. The necessary price drops would be bad news for regional economies because of the losses homeowners and financial institutions would sustain. At the same time maintenance of the currently elevated prices would also be bad news. In the past 7 years, 4.5 million people have moved from higher-cost markets to lower-cost markets in the United States. The formerly attractive markets of the California coast alone have seen more than two million people depart for other places since 2000. For these areas, a return to historic levels of housing affordability may be a prime pre-requisite to restoring economic health. Note: The Demographia International Housing Affordability Survey is a joint effort of Wendell Cox of Demographia (United States) and Hugh Pavletich of Performance Urban Planning (New Zealand). Submitted by uofix on Sat, 09/13/2014 - 09:21. Submitted by uofix on Wed, 09/03/2014 - 08:38. Submitted by cartercj1122 on Sun, 08/03/2014 - 09:45. Submitted by epar on Tue, 02/03/2009 - 11:29. I thought I'd point out another piece of evidence that flies in the face of your constrained supply theory of the housing bubble. Between the early 80's and the early 00's, the homeowner vacancy rate floated in a narrow band between 1.5% and 1.75%. Then, very suddenly in 2005 that rate shot up to 2.25%, then to 2.6% in 2006, and hit its all time peak of 2.9% in early 2008 (This is no doubt related to the explosion of single-family starts I mentioned in my first comment). The trend in the rental vacancy rate is similar, though not as drastic. After hovering in the 7% range for most of the 90s, the rate peaked at 10.5% around 2005 and currently stands at just over 10%. So, if anything we have built far too many single family homes in the past decade. Your claim to the contrary is not at all supported by the evidence. Submitted by basefleet on Sat, 01/31/2009 - 21:47. Submitted by kenstremsky on Sat, 01/31/2009 - 17:10. Congress should have learned from the savings and loans crisis and regulated properly. Congress should have required down payments on homes and fixed rate mortgages. Allowing mortgage backed securities to be sold based on no money down mortgages was nuts. Members of Congress were more interested in campaign contributions and are still more interested in campaign contributions and the possibility of jobs with financial institutions after leaving office than regulating properly. Non voters and voters who voted for the wrong people helped cause the mortgage mess. Many people who lives in apartments may want to buy foreclosed homes with down payments and fixed rate mortgages. If you live in an apartment and you like your neighbors, you might want to buy a foreclosed home with them. I discuss dealing with the financial crisis on my profile. Submitted by epar on Fri, 01/30/2009 - 09:46. Your theory of the housing bubble is unusual in that it focuses on supply dynamics rather than demand dynamics. "Rising demand was not the big problem", as you say. Perhaps because of this, you rely on a widely-recognized public intellectual, Paul Krugman, to support your argument. Since you have leaned on him several times in your recent articles, I decided to actually go back to my copy of his recent "The Return of Depression Economics" and see for myself what he has to say. Interestingly enough, he introduces the housing bubble in a section called "Greenspan's Bubbles", which lets you know right away that Krugman's focus will be on the interplay between housing and the financial system, not housing and land use regs. As I paged through the two chapters that cover the bubble, I found exactly one sentence that mentions supply dynamics. "...the boom in house prices was uneven: in the central part of the United States, where land is abundant, housing prices never rose much more than overall inflation, but in coastal areas, especially Florida and southern California, prices soared to well over twice their normal ratio to rents." Note that he doesn't even mention zoning per se, but merely the lack of developable land in coastal areas. So what, in Krugman's own words, was the primary driver of the housing bubble? If you took even a few minutes to skim through the later part of his book, you would find that he places developments in the financial system front and center, with Greenspan's monetary policy providing the catalyst. He deems land supply important enough to merit exactly one sentence in his roughly 40-page discussion. Again, in Krugman's own words: "But what justified a bubble in housing? We know why home prices started rising: interest rates were very low in the early years...which made buying houses attractive." Later, in explaining why this was important but not sufficient, he says, Low interest rates should have changed the mortgage payments associated with a given amount of borrowing, but not much else. What actually happened, however, was a complete abandonment of traditional principles. To some extent this was driven by the irrational exuberance of individual families...But it was driven to a greater extent by a change in lending standards. From a discussion of relaxed lending standards, he segues into innovations in securitization markets, with particular attention how CDOs issued by private institutions provided literally trillions of dollars of cheap capital. Adaptive expectations on the part of investors in real estate and mortgage related securities created an unsustainable feedback loop. So why where the consequences of the housing bubble collapse so severe, in Krugman's view? ...the consequences when the housing bubble burst were worse than almost anyone imagined. Why? Because the financial system had changed in ways that nobody fully appreciated. He continues on to explain at length how the "shadow banking system" - comprised of SIVs, CDOs, REMICs, and other new inventions - supplanted the conventional banking system in a way that simultaneously magnified and concealed systemic risk. As a consequences, even a small decline in house prices could send shockwaves through the capital markets. ...the crisis, for the most part... has involved risks taken by institutions that were never regulated in the first place. And that I'd argue, is the core of what happened. As the shadow banking system expanded to rival or even surpass conventional banking in importance, politicians and government officials should have realized that were were re-creating the kind of financial vulnerability that made the Great Depression possible...". Now I'm pretty sure I know why Krugman doesn't spend more than a breath talking about how housing supply drove the housing bubble. It's simply because it didn't. As you tell it, prices went up not because demand exploded, but supply contracted, or at least was constrained to growing to keep up sufficiently with demand. It's actually pretty easy to verify whether or not this happened. All you have to do is look at single-family home starts, made publicly available through the census bureau and see how they track the Case Shiller Home Price Index, covering the largest 20 metro areas in the country. During the bubbliest phase of the bubble – from roughly January 2000 to May 2006 – the CS HPI posted a greater than 10% YoY increase every month, with the exception of a few months during the brief 2001-2002 recession. The cumulative increase over the period was 105%. National single-family housing starts, meanwhile, had been on a tear since a trough in 1991, roughly doubling from then until January 2000. But as the bubble inflated, starts for single family units continued to rise, from 1.26 million units on an annualized basis in January 2000 to a peak of 1.84 million units annualized in January 2006 – a 45% increase in the number of single family housing units being added every year. So, if as you say, demand had little to do with it, and supply was increasing like never before, why were prices going up in those metro areas? And can you really claim that the bulk of the building activity was outside the metro areas? If you can I'd love to see the evidence. Submitted by dreviewx on Thu, 10/29/2009 - 12:58. >> The overwhelming factor causing the ridiculous rates of price inrease was the availability of credit at levels never before even thought of, let alone seen. 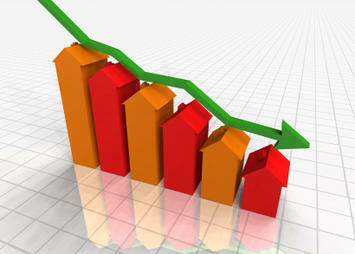 >>As a mortgage broker I have seen first hand the figures individuals have been able to borrow. The fact that you could actually borrow up to 130% of the value of the house you were purchasing says it all. I mean really... what did the banks think was going to happen? I earn $1000 a month for survey, I want you to join too. Submitted by DanAronG on Wed, 02/11/2009 - 11:31. Have to agree with epar here. The overwhelming factor causing the ridiculous rates of price inrease was the availability of credit at levels never before even thought of, let alone seen. As a mortgage broker I have seen first hand the figures individuals have been able to borrow. The fact that you could actually borrow up to 130% of the value of the house you were purchasing says it all. I mean really... what did the banks think was going to happen?